The Rezeroquatiser 04 aims to overturn Casablanca’s Fourth Quarter’s reputation for violence and crime, and illuminate the creativity that exists within this space. It is a representation of Fourth Quarter of Casablanca, in which the prefectures Sidi Othmane and Moulay Rachid are situated. The density and diversity of artists and athletes of the neighborhood are represented through several types of mapping: (1) a valise that contains samples of the artists’ work and an abstract map that quantifies the artists and performance locations, and (2) an online map which shows biographical information and work samples of these artists and athletes. While the former is portable and can be exhibited in numerous locations, the latter is globally accessible. 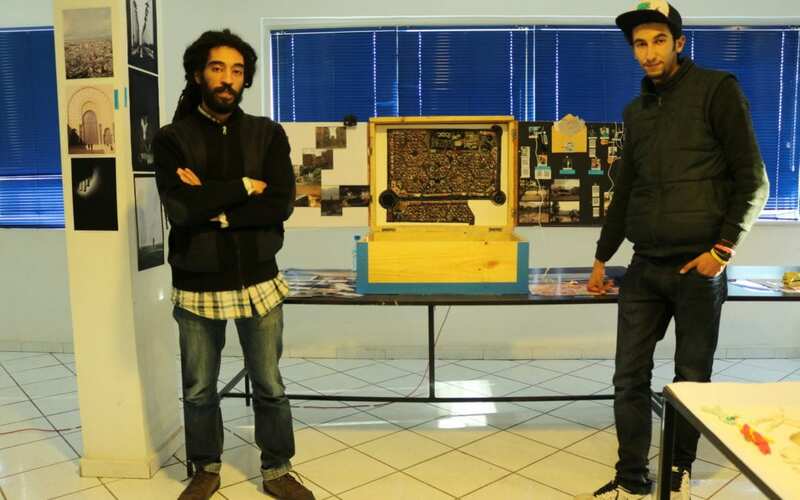 They hope to expand upon this project by creating promotional materials and making a valise for different parts of the neighborhood, and eventually for all of Casablanca.